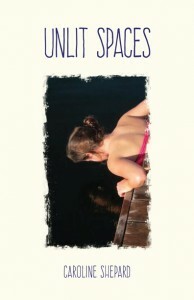 Unlit Spaces is Caroline Shepard’s eagerly anticipated first novel. It brings to life the haunting story of Cailey Donald, a young woman fleeing her rural Manitoba home in the wake of lingering childhood trauma. As she matures, Cailey finds herself in a variety of challenging situations, from working as a domestic in a wealthy Winnipeg home, to studying fine arts at a Montreal university. As she begins to establish herself in the Montreal art community, her life is at once inspired and inhibited by the hidden childhood trauma that resurfaces with ever increasing urgency. It is ultimately through her art, and in the company of those closest to her, that Cailey is at last able to bring her secret out of the shadows and into the light. Unlit Spaces is a dramatic and often moving love story that weaves themes of culture and art and social justice through the intersecting lives of a vibrantly entertaining cast of characters. Robertson Davies First Novel award.